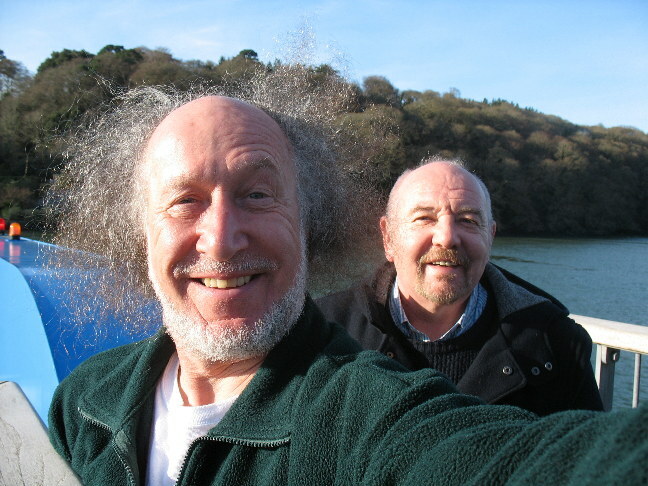 Our visit to Cornwall in January 2014 was a great success! 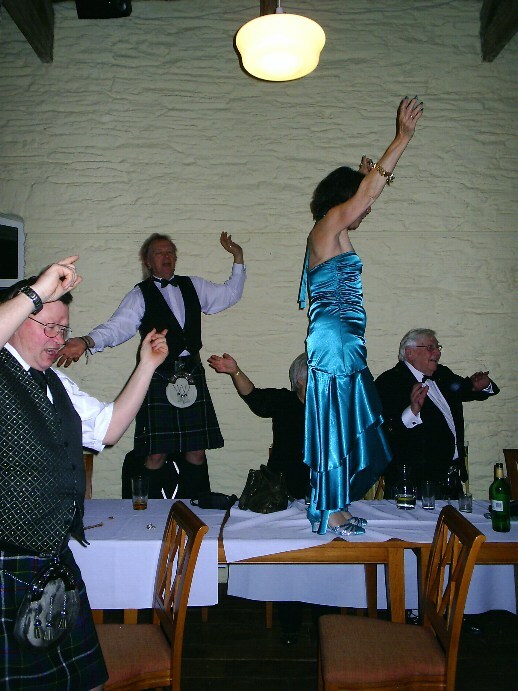 As a slight departure from the usual visit to Singapore in January to visit the Singapore St Andrews Society and play at their Burns Supper, this year The Wherries headed south to Cornwall to join their fellow 'Celts' for a similar Scottish 'Burnsian' celebration. This 'first' included a different form of transport for the band as they 'dumped the plane' and took to the train instead. An interesting - and quite relaxing - journey, albeit there were four trains to catch en route. "However, we could carry as much liquid and as many sharp objects as we liked, unlike the air travel." The band travelled light, carrying only their guitars and personal belongings and are very much indebted to Nigel Gray who loaned them all the PA amplification they required for the concerts. Nigel may be familiar to fans of music from the mid 1970s to the mid 1980s as the record producer for The Police, Siouxsie and the Banshees, Godley & Crème, Wishbone Ash, and Hazel O'Connor amongst others in his studio in Leatherhead. 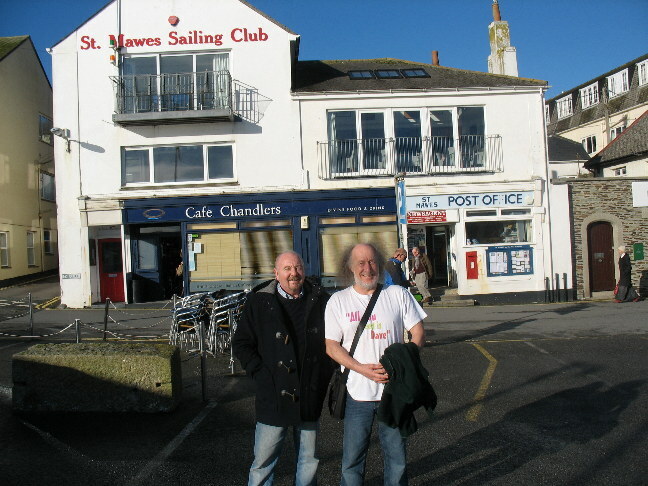 "We had a great wee 'jam-session' with Nigel in his home-studio in the village of St Just in Roseland on the Saturday afternoon and Nigel kindly agreed to join us for our 'un-plugged' session in the St Mawes Sailing Club on Sunday night." It came as a great shock to us to hear that Nigel saddly passed away in July 2016. Our sincere condolences go to his wife Diana and to all his family on their loss of a truely wonderful man. 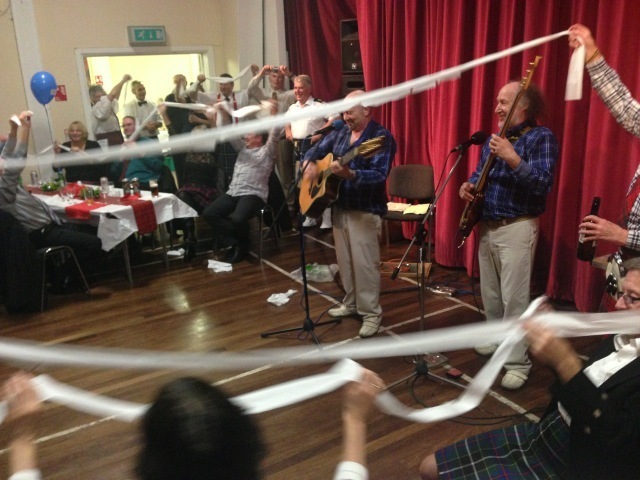 "Our tour started off on Friday night with a 'fund-raising concert' in the St Mawes Memorial Hall in aid of the Children's Hospice South West". 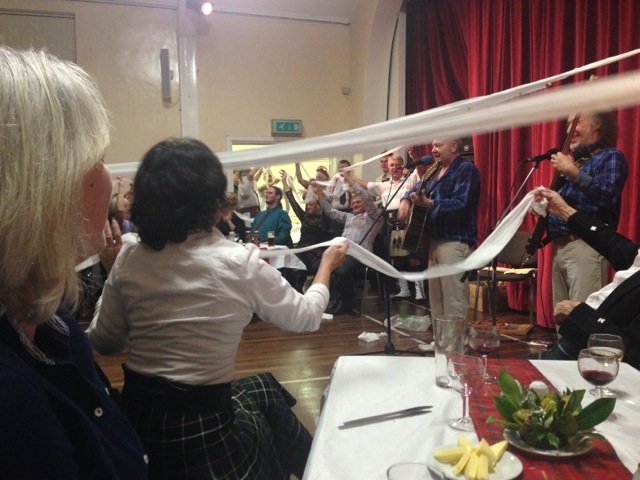 The evening's proceedings started with a wonderful meal followed by a rendition from the Kernow Pipes & Drums and then on to pure 'madness and mayhem' from The Wherries. 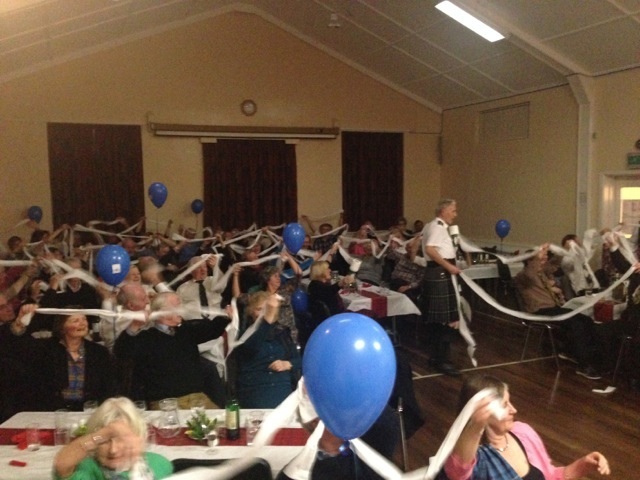 To date, the concert has raised a total of £2157.00 for the Hospice. The evening was unanimously voted 'the best night - ever'! Saturday night saw the band playing at the Kernow Pipes & Drums annual dinner in the Great Hall at Trelissick Gardens near Truro. Another great night of 'madness & mayhem!!! "Our grateful thanks go to Alex and Marie McColl for setting up our tour and also for putting us up, and for putting up with us demolishing their food supplies (not to mention the drink) and disrupting the peace and tranquillity of their wonderful home. A special thanks also to Nigel and Diana Gray for their kind hospitality and for the loan of all the PA equipment." The return home on Monday was the reverse of the outward travel and was indeed a pleasant way to go. Pass the loo-roll - it's that Lebanese curry again!! !